Driving in any foreign country can seem a little worrying but with the right information to hand you can enjoy your car hire on holiday and find out the best things to do in Greece. There are so many sites to visit and so many places you should know about in Greece that you’ll have some fun getting around. Tourist sites in Greece are all over the country so before you go make sure you plan where you want to go and what to visit in Greece so your holiday goes as smoothly as possible. Here we’ve put together a 7 minute guide to driving in Greece which will make sure you have as nice a ride as possible! If you know the rules and regulations of driving in Greece things are a whole lot easier for the driver and a lot less confusing! 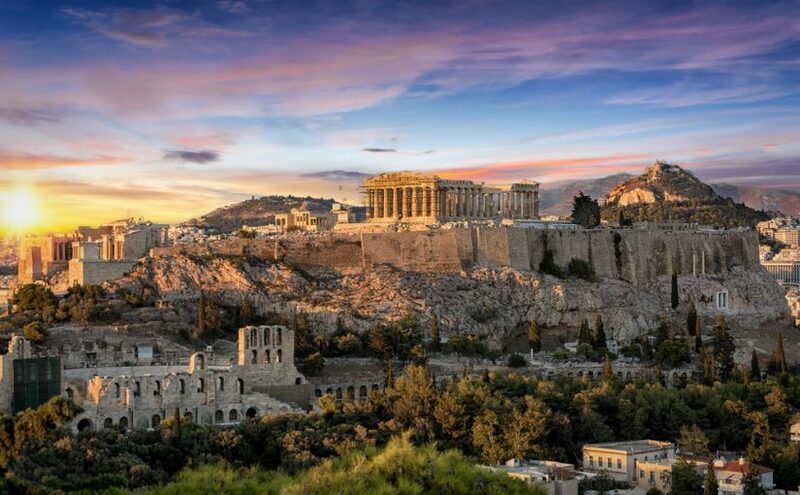 Greece can seem very daunting for drivers, in the big cities such as Athens things can be a little trickier, but being armed with some practical information will help. Obviously driving through the countryside is a different matter and while on your way to places of interest in Greece you’ll experience many different driving styles, so be aware. Drive with caution as Greece has a terrible accident record but with due diligence you will be fine. You will need a full European driving licence to be allowed to drive in Greece, and if you don’t have an EU licence then technically you will be asked to produce an international driving licence. When planning what to see in Greece, and hiring a rental vehicle, be sure to check the minimum ages as this often can vary from company to company, but generally it is from 21 years old. Make sure also that if you have a hire vehicle that all the documents you need will be in the car. Insurance and vehicle ownership details should be there as a minimum. When deciding what to do in Greece, make sure you are fully prepared so as to avoid any complications on the road. Make sure you are fully covered when driving to see tourist attractions in Greece. By law you must have at least third-party insurance for your vehicle, and if you are hiring a car be sure to ask what type of insurance is included. With Goldcar there are many options to suit all needs so have a look at goldcar.es and choose the best one for your journey. It is well worth considering taking out CDW (Collision Damage Waiver) insurance if you don’t want run the risk of being charged for any damage if there should be an accident or if another car or person does any damage to your vehicle. With so many things to do in Greece and some tough choices of what to see in Greece you could be spending a fair amount of time on the roads so it’s worth being aware of a few simple tips that may make your driving time easier, and safer. Passing Lanes can be seen on on most major roads where you will notice a solid white line on the passenger’s side of the vehicle. When you are heading to places of interest in Greece and driving normally, drivers should stay outside of the line, but if a car wishes to pass you you should pull in and cross the line. Drink driving is taken very seriously and just a very small amount of alcohol in the blood (currently 0.05%) is a criminal offence. Speed limits – the warning signs are usually easy to see and the limits are the same as most of Europe, built-up areas 31mph (50kph) for cars, 24mph (40kph) for motorcycles; outside built-up areas 55mph (90kph) or 68mph (110kph) for cars, 43mph (70kph) for motorcycles; motorways 80mph (130kph) for cars and 55mph (90kph) for motorcycles. Be aware when you are heading to tourist attractions in Greece that often speed limits on the same stretch of road can change, so keep an eye on the signs. Be careful as the police are always near to tourist sites in Greece and if you break the speed limit, or another road rule, the police can apply on-the-spot fines for driving offences such as speeding, which you must then pay at the nearest Public Treasury office within ten days. One of the many things to do in Greece is to visit the countryside and although it’s not a big problem, in more remote places could `possibly struggle to find a petrol station. It’s always wise obviously to head out with a full tank at the start. When you know what to visit in Greece and plan on taking your hire car, be sure to have a look at the gauge before heading out! Also, many petrol stations close on Sundays, and some on Saturdays too, so be aware. And, make a note, it is illegal in Greece to carry petrol in a can in a car. When on holiday with the children and driving to one of the many places you should know about in Greece, make sure the children are safe in the car, and legal. Children under the age of ten must travel in the front seat with a suitable seat restraint, such as a properly fitted and correct sized child seat. These are available from Goldcar for all sizes. And children under five must be seated in an appropriate seat. Children in cars is highly regulated in Greece and if you are planning to travel with a child be sure to check with your hire company that the correct seats will be supplied. Tourism in Greece is huge and of course there is a massive choice of tourist sites in Greece for you to see. Choose a suitable vehicle if you plan on doing a lot of driving. Things to do in Greece are many and some are a good drive away. Plan your trip and be welcomed by the friendly locals and above all get to see as many places of interest in Greece as possible! If you want to enjoy greece tours the next time you visit the islands. Read and pay attention to our driving guide.It´s very easy and useful! !